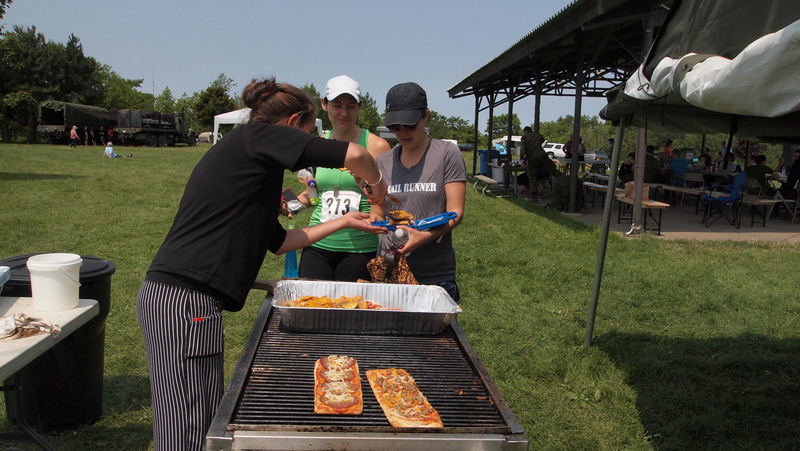 In the 2015 followup to a tough inaugural Laura Secord Memorial ultra trail race last year, Diane Chesla, the super lovely Race Director, made some big changes to the race. The main alterations being the course itself as well as the time of year the race took place. In 2014, the race was held in April during fairly cold and EXTREMELY muddy weather conditions (click here for the 2014 race report.) Not many 100km runners were overjoyed with the conditions or the state their shoes (and feet) were in following the race – super dirty and even gaiters didn’t help at all. Also, although I didn’t run last years’ course myself, I hear it used to be quite technical, but very runnable (if the mud wasn’t ankle deep everywhere!) All of that didn’t matter, because for the 2015 edition it was a beautiful day in July, and the trails were bone dry! 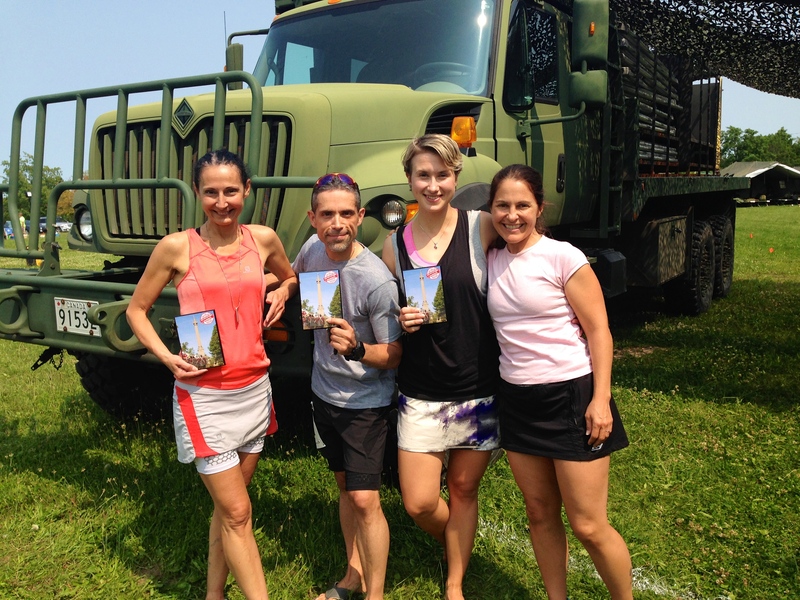 This year, the race took place just after Canada Day, on Saturday July 4th, and the route consisted of a 25km loop starting in Firemen’s Park in Niagara Falls and running around the Niagara escarpment and the Bruce trail. Runners could choose from 25km, 50km, or the full 100km distances. At the last minute, I was able to run the 25km and I’m very happy I did! In 2015, with a total of 134 participants, the race felt pleasant and family-like. Something quite special about this race is that the Canadian Military uses it as a training exercise and through the race you see these dedicated/poor soldiers with 40-60 pound backpacks and heavy boots in the exhausting heat and you just have to chat to understand why they’re putting themselves through the agony! Not surprisingly, they have the same question for people running the 100km. 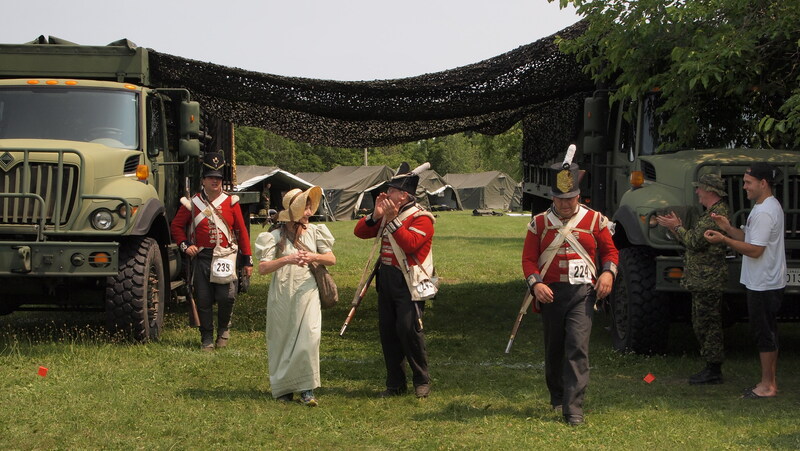 In addition, the Upper Canada Military Re-enactment Society participated in the 25km event wearing their full reenactment garb. It was close to 30 degrees with humidity on race day and I have no idea how they did it. 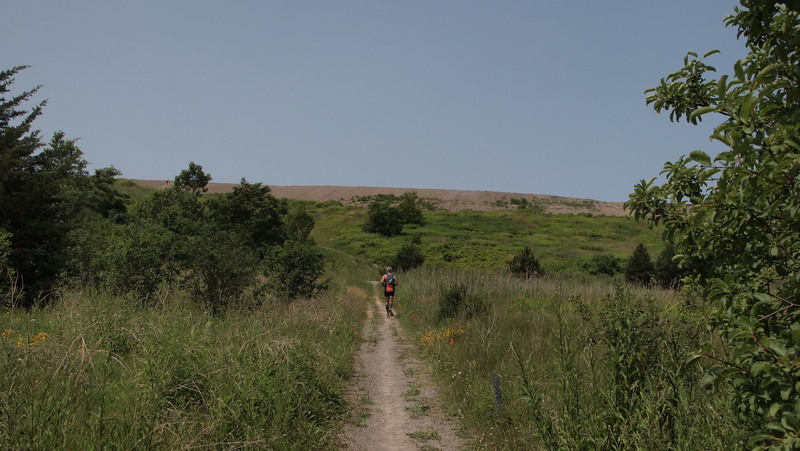 Technicality: Running through Niagara escarpment, the course was mostly single track, with sections at the beginning of the loop consisting of some gravel and pavement. The majority of trails were well groomed. I didn’t find the climbs too challenging with my Suunto registering a 395m total ascent. Markings: Exceptional. Although I overheard one person got off course, I found it to be very well marked. There were couple of turnaround points that were easy to skip if no one was around. Course Measurement: My Suunto came in at 25.5km – so the marking was spot on.